Remember “YOLO”? It was an acronym that morphed into a buzzword a few years back. One you’re probably OK with not having around. And just in case…it stands for “You Only Live Once.” Consider it a modernized “carpe diem”. So how did YOLO turn into a word no one takes seriously? Urban Dictionary sums that up perfectly: “The dumbass’s excuse for something stupid that they did.” YOLO fell victim to abuse. All jokes aside, no humor has the power to strip the nature of its truth. How seriously do you take the concept of only getting one shot at life? Do you view life as a gift and spend your dwindling time wisely? Or perceive time as limitless and death as something you’ll never fall victim to? Are you experiencing life to the fullest by not settling and living as your authentic self? Or withering away, spending your days in an unsatisfactory job or relationship? If you’re not living your truth, consider how you mask the pain of living a lie. YOLO called and it wants it’s true meaning back. Instead of using it to excuse stupidity, use it as an excuse to do something smart like live your true purpose and deliver your unique gifts to the world. There’s no better time than now to dig deep and uncover what’s keeping you stuck. Typically, death is feared for all the wrong reasons. The fact remains that death is inevitable and beyond our control. The key is to shift your fear to focus on dying without purpose. Let potential regret inspire you to take action. Allow the inevitability of death to be your greatest motivator — to face the dragons holding you hostage. The ones paralyzing your pursuit of genuine happiness. As a boy, Kute Blackson was placed on a path that was not his own. He’s guilty of letting his fear suffocate his voice, as many are. But only a few years passed before he developed an awareness that would give him the courage to follow his heart. His decision would result in a strained relationship with his father in addition to facing other unknowns. But he took the leap and found alignment with his destiny. The fear of compromising his true self-lead him to discover his greatest treasure. 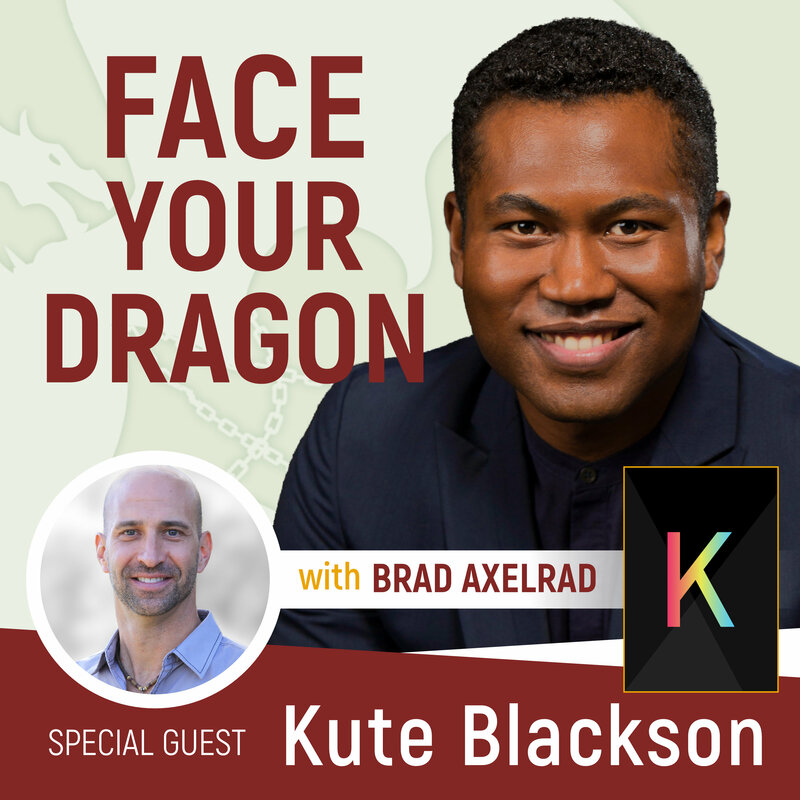 About Kute: Kute Blackson is the author of the national bestselling book “You Are The One” and is widely considered the next generation leader in the field of personal development by everyone ranging from Larry King, Jack Canfield, Marianne Williamson and more. Over the last decade, he’s been helping organizations develop authentic leadership and achieve extraordinary performance.